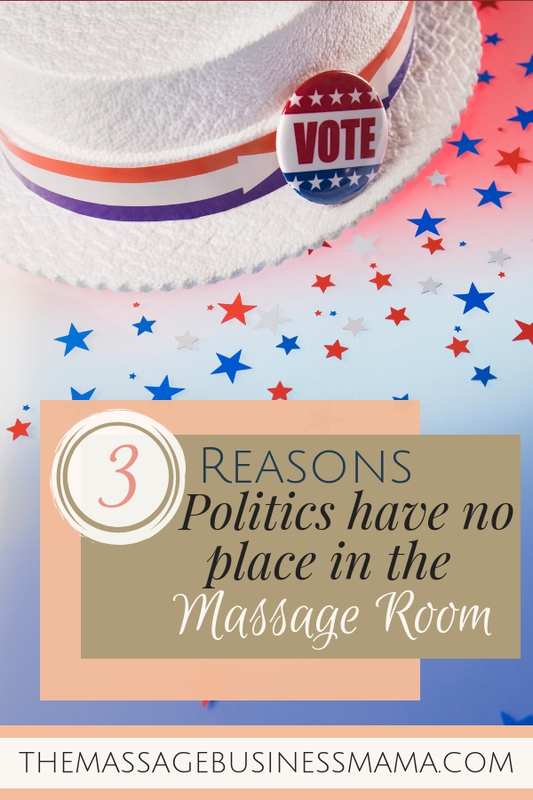 In this Post: 3 reasons to keep politics out of massage, regardless of whether or not you have the same views as your clients. Business and politics don’t mix. Plain and simple. We have heard this for years, and while this is true for most businesses, it is especially true for the business of massage. People get massages to relax, and politics are anything but relaxing. Even if you are in total political agreement with your clients, it is still best to avoid the topic, because politics are heated. With elections right around the corner, you may be tempted to discuss politics with your clients. It would be prudent however to keep your opinions to yourself. Our primary focus as massage therapists is to help our clients relax and reconnect with their bodies. Even if you are in complete political agreement with your client, it does not serve your main purpose to talk politics. You will feel their body tense, and blood pressure rise when they share how strongly they feel about an issue. 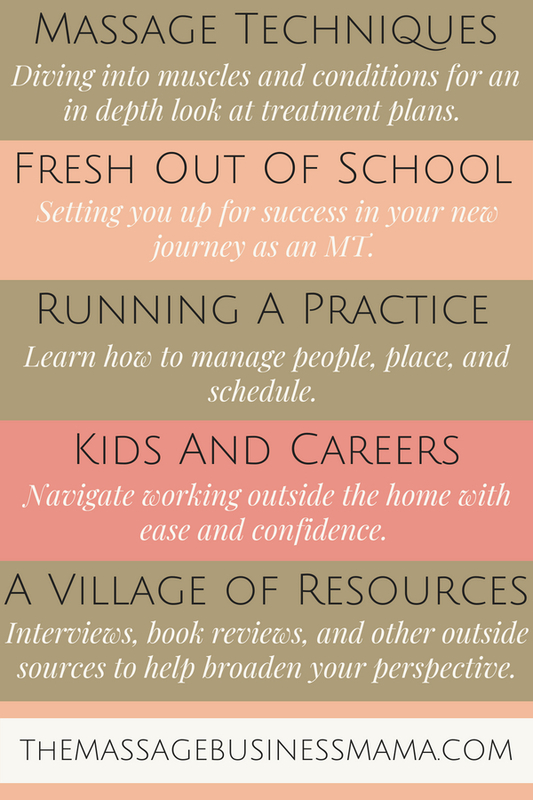 This is quite the contradiction from what we are trying to achieve as massage therapists. John A. Tures, a professor of political science at LaGrange College, wrote an article on blood pressure and politics. He shows here a connection between the two that perfectly exemplifies my point. People’s bodies naturally react when issues of importance to them are brought up, such as politics. 2) You could lose clients. If you have different views than your client, you may find them questioning you as a person. People are fickle about who touches them, and if they feel like your views are so far out of line from where they stand they may choose to spend their dollars elsewhere. My aunt just shared a story with me about how she was recently getting her haircut. She had been going to this stylist for years and loved how this woman cut her hair. Offhandedly her stylist told her that she thought Trump was funny. My aunt couldn’t believe her ears. She told her stylist how seriously she took politics, and how much she did not think he was funny. She is now currently looking for someone new to cut her hair. After years of loyally going to this women, in the blink of an eye, she is done. New York Times writer, Roz Warren wrote a piece nearly identical to my aunt’s story except regarding her massage therapist. She even went as far as to solicit advice from her Facebook community as to whether or not she should return to her therapist after it became apparent that her therapist favored a different party than her own. When so much of our business is word of mouth, do we really want someone out there asking their Facebook world whether or not to return to us for massage? 3) You never know where someone stands politically. In the last Presidential election, 51% of the popular vote was one way, while 49% the other. That is pretty close to 50/50. Meaning that 50% of the time you could be talking to someone with different politic views than yourself. So 50% of the time you could be alienating clients if you choose to discuss politics. Of course, in some areas, the division may be less distinct. But if you work in a tourist driven area, you simply don’t know where people stand politically. I know it may be tempting to discuss your opinions, especially when you are passionate about your beliefs! But really, the smart thing to do, keep quiet. Again not only is this because of the potential monetary damage it could cause your practice, but also because it goes against our primary purpose as therapists. We are here to nurture, relax, and hold space for our clients. Not interject our own biases. So get on with the business of providing a relaxing environment!